"Yes, I took a long vacation from blogging. Got a problem with that?" Im having some difficulty in writing today, after events that have taken place in Arizona. i need just a little bit of time to regroup. I guess im not over some things yet. in kindness, compassion, and support. Vreselijk wat daar gebeurd is. I am sorry for the families of these brave men and thankful for their skills that helped so many, their loss is felt around the world. Such a sad, tragic loss. Prayers for their families. Oh, sweetness. It definitely is not an easy thing to get past. But, one day at a time. And it breaks my heart to see that picture and then know this. Just tragedy all the way around. My heart breaks with the sadness of this news. Very Tragic indeed. Hold on Feral. You will make it. 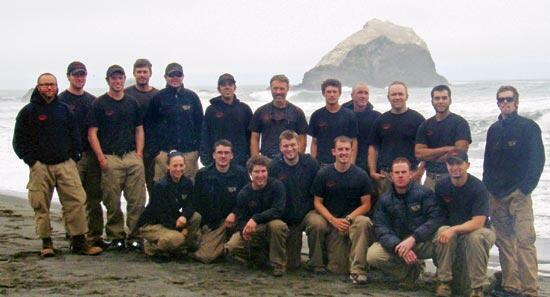 So so heartbreaking for the families of these very brave wonderful firefighters. Brett's brother is a firefighter in Arizona - but not, thankfully, in Prescott. So, so sad...beyond words, really. And it does bring back your experience. Breathe. Such a terrible, terrible loss. You take all the time you need, sweetie pie. It just breaks your heart to know those brave men will not be coming home to their families. My prayers and love go out to their families and friends. The Arizona tragedy touched me deeply. I spent a lot of time last night crying over the whole thing. It just breaks my heart to pieces. Yes a tragedy. So sad to see any life snuffed out by the wickedness of uncontrolled fire. Also thinking of you and the scorched earth of your homeland. May our part of the world not have to deal with so much devastation and smoke this summer! Fire is so scary! That was terribly sad what those brave men died for. I am feral, so although I dont respond at all like most domesticated bloggers, I will try my best - Thank you for even wanting to leave a comment, as it may draw me out from the woods from whence I came! We can visit your inbox! Timber Cruising - Yes, I get paid to do this. What is Timber Cruising? Is it Dating for trees? What do I exactly do in the woods? I write about the impossible. Yep, it happens. A Montana wedding without electricity! or otherwise reproduce any Text, Photography, or Content. Not that I am going to win a Pulitzer or anything. 2010-2019 copyright © www.gowestferalwoman.com. Picture Window theme. Powered by Blogger.